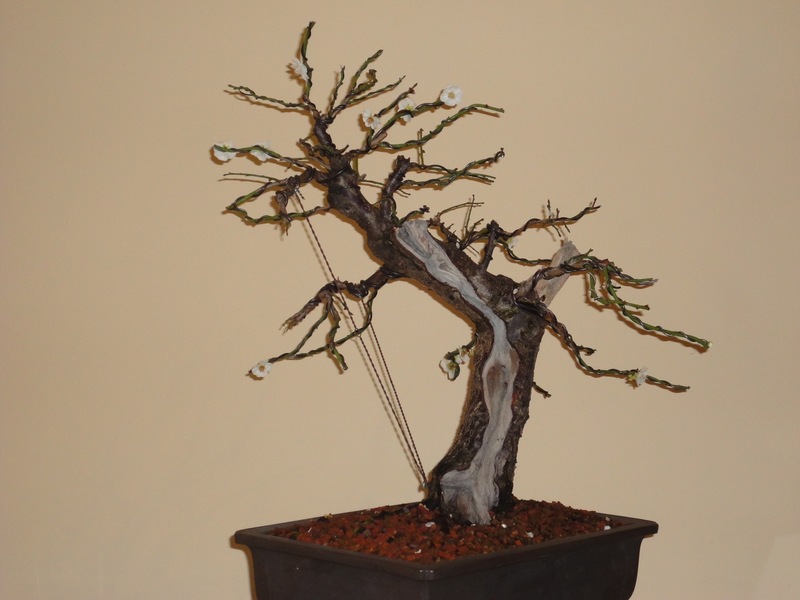 While the materials in the last spring cleaning post weren’t show-stoppers, the techniques are certainly important to developing show-stopping bonsai. Another detail of spring cleaning is taking care of wounds and scars from old cuts. 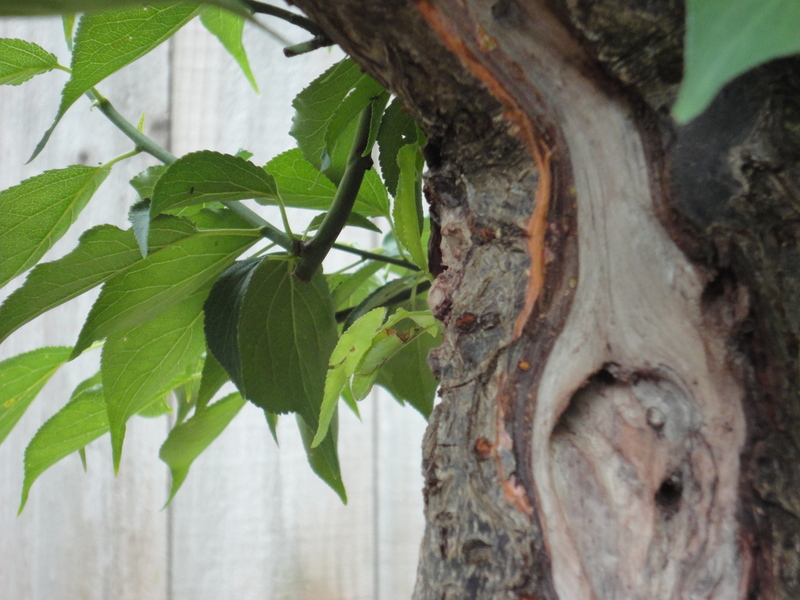 Staying vigilant on pruning scars helps them heal over nicely until they become undetectable. 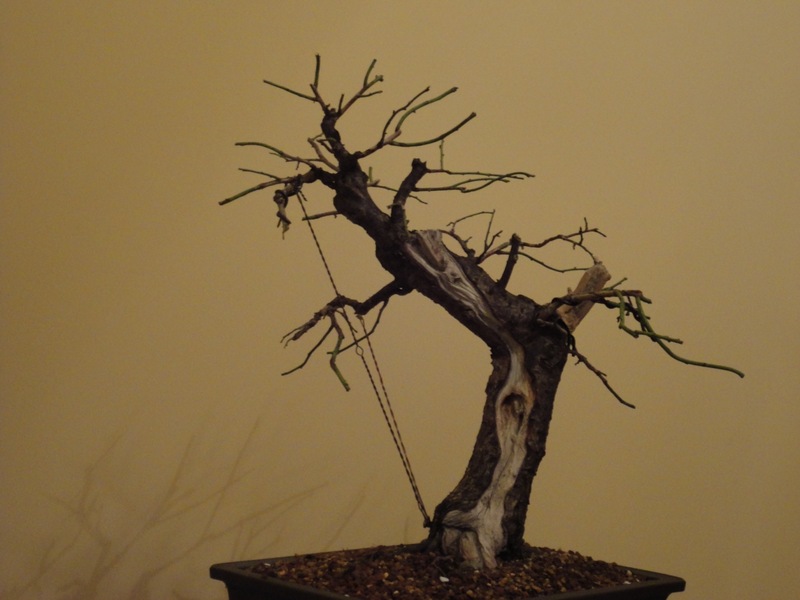 Here are a couple photos from cleaning up old cuts on a zelkova, and on a young shari on an ume. 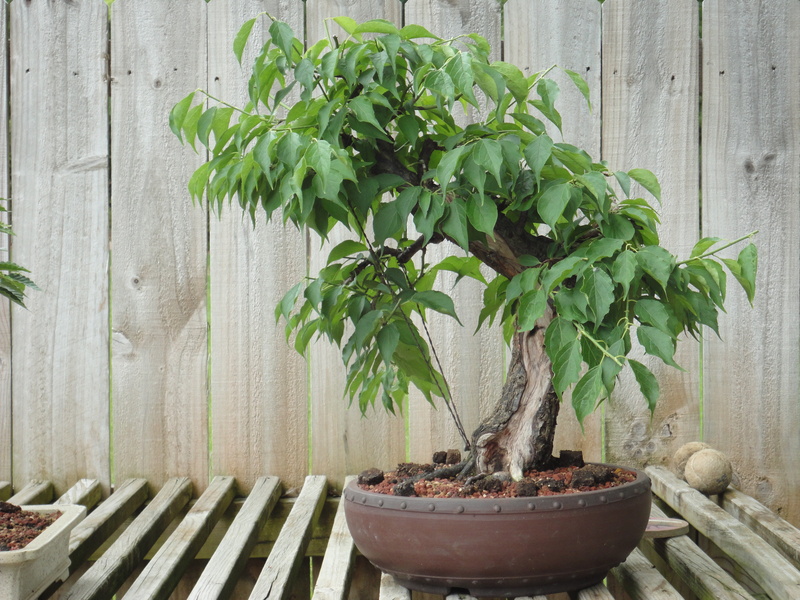 This zelkova has been a bonsai for about 30 years. Most of the history of the tree under my care is documented here. Soon it will have its own post here as well. These pruning scars are on the back of the trunk, but at some point, it could become the front of the tree if the wounds close over well. 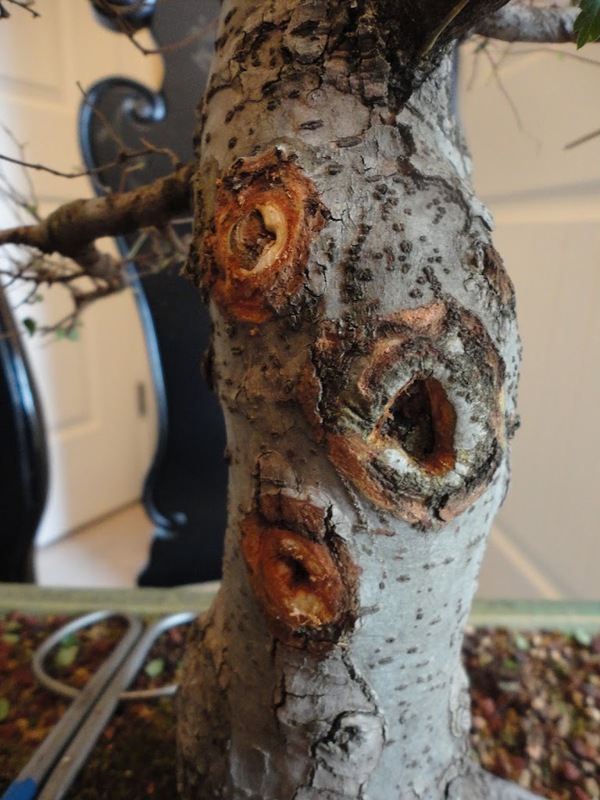 They were created years before I acquired the tree in 2006, so they’ve been healing slowly for more than 8 years. For scale, they’re close to quarter sized. Next is the callus forming along the newly-created shari on an Ume. The carving was done 13 months ago, and as a fast-growing species, the cambium is rolling over the deadwood quickly, and pushing up a ridge of bark above the callus. To improve the illusion of age, it is important to keep the callus rolling smoothly and to have no transition in bark along the shari. 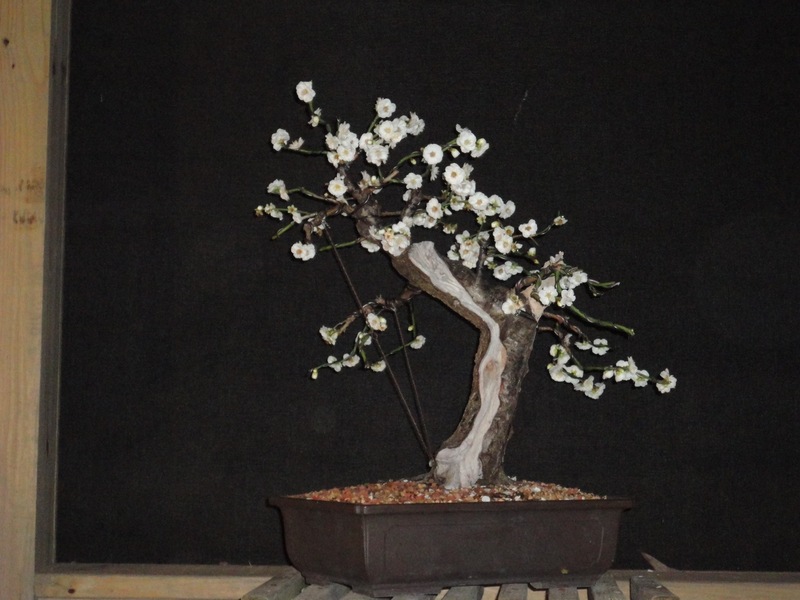 The ume bloomed beautifully last month. 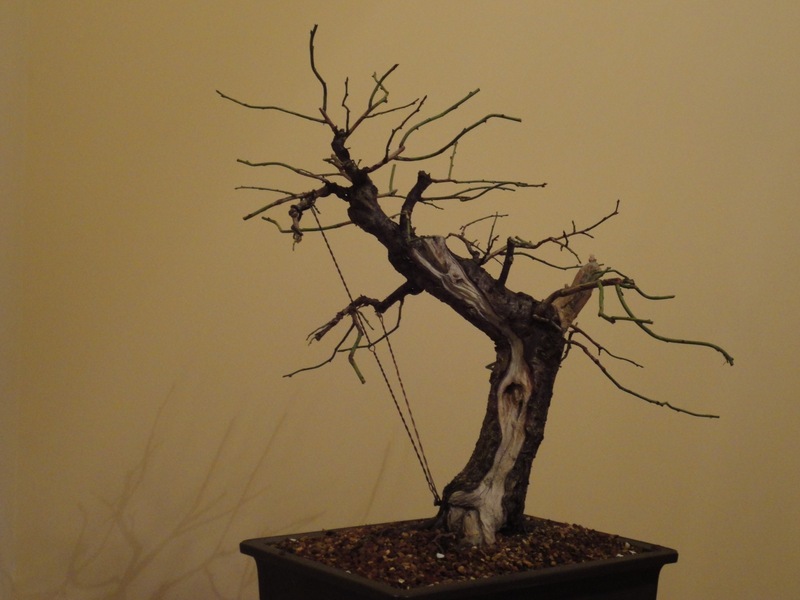 As the last of the blooms faded, it was time to revisit some old articles and notes about pruning. 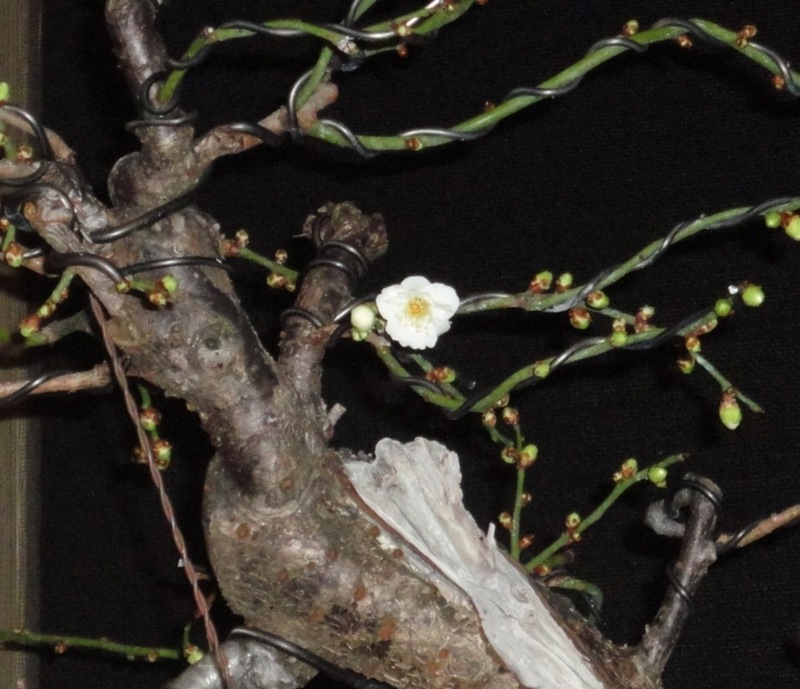 I’ve always read that ume is pruned heavily after blooming. I’ve also read that buds may not predictably open, so if the branch is pruned back, not leaving a viable bud, it’s not likely you’ll get one that spring. 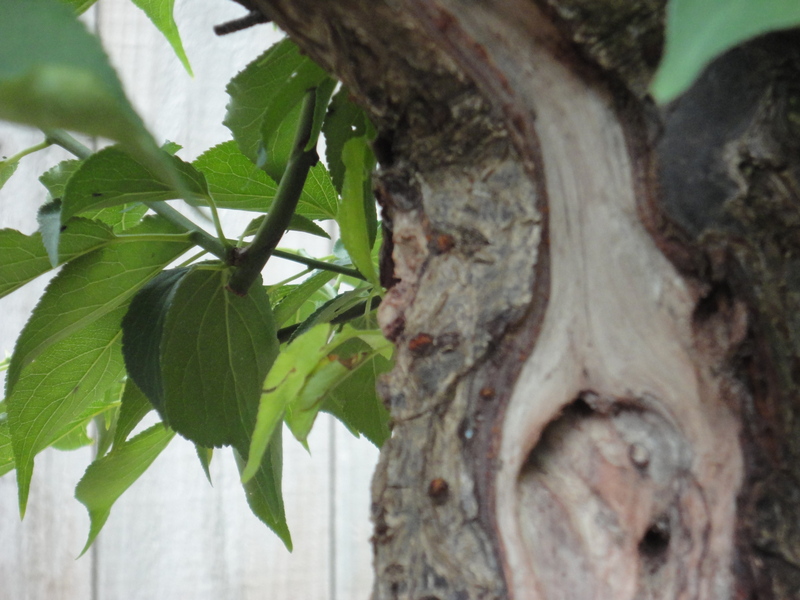 So, in true conservative fashion, I pruned the ume gently. 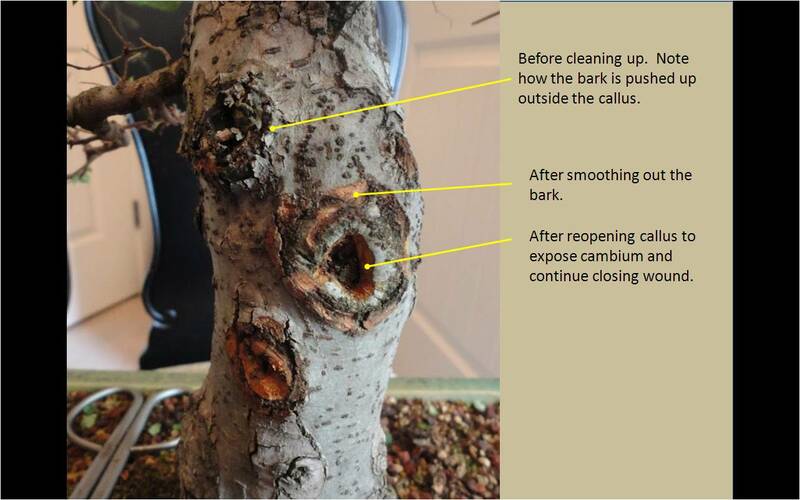 Once the buds swell and leaves begin to emerge, it is safe to prune back to the first or second viable bud. More on that in Part 4. What’s next? Repotting is done after blooming and before growth begins. With the warm weather we’ve had, I’m surprised it hasn’t started leafing out yet. Pine candles are starting to stretch, and magnolias are blooming all around us. I’m trying to hold off as long as possible in case March comes in like a (frigid) lion. I have several pots I’m debating among. That will be Part 3. Here is what I hope is a harbinger of a great year to come! Wishing all a safe, healthy and prosperous 2012!! !